UFC Fight Night: Nogueira vs Davis | MMA Fighting Events Videos Techniques UFC Fight Picks and News. Coming off an exciting UFC 128 where Jon Jones picked apart Mauricio "Shogun" Rua, the UFC brings free MMA action back on Spike. UFC Fight Night will feature MMA and Pride veteran Antonio Rogerio Nogueira facing off against another rising UFC star in Phil Davis. Nogueira vs Davis is another match up that pits an MMA and Pride veteran against an athletic well rounded MMA fighter. We all saw how that went down last Saturday in UFC 128. I think this fight night will be a repeat of what happened in UFC 128. A well rounded, young, skilled and athletic fighter well beat an old school MMA fighter. 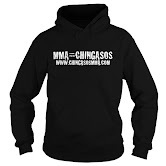 The new breed of MMA fighter is taking over. Look for Davis to dominate and take the win over Nogueira. But remember, that in MMA anything can happen and Nogueira is tough as nails. He won't go down easy. Check out the free preview video of UFC Fight Night: Nogueira vs Davis.